When Should You Choose Coordinated/Excess Wage Loss on Michigan PIP No-Fault Insurance Coverage? Almost never. In an effort to save as much money as possible on auto insurance premiums, many people elect coordinated/excess wage loss on their personal injury protection (PIP) coverage, because it’s cheaper than primary wage loss. PIP coverage provides no-fault benefits (medical expenses/mileage, wage loss, household replacement services and attendant care) after someone has been injured in a car accident. Coordinated/excess wage loss is an optional coverage that a no-fault insurance company pays secondary to other sources of disability income. And it can be very dangerous in certain situations. The danger arises when an auto accident victim also has private short-term and/or long-term disability insurance of any kind. In other words, if you have coordinated/excess wage loss, and you qualify for coverage under any kind of private disability plan, your auto insurance company will only pay the difference between the amount you receive from your disability policy and the statutory maximum of 85 percent of your gross income as required as by the No-Fault Act — due to possible contractual set-offs (reductions in benefits) included in many disability policies. Keep in mind another problem with many private disability insurance policies: They may contain auto exclusion clauses, have high deductibles, and/or require reimbursement of any duplicated payments by an auto insurance carrier. Therefore, it’s common for an auto insurer to wait for the disability plan to pay first… but the disability policy won’t pay because the personal injury resulted from an auto accident or for some other reason listed in the policy. Ultimately, the auto accident victim either never gets paid or the delay in payment will take an extremely long time to resolve. It can be a real mess. If you are certain you have no private disability policies, then coordinated/excess wage loss can be elected on your PIP benefits. 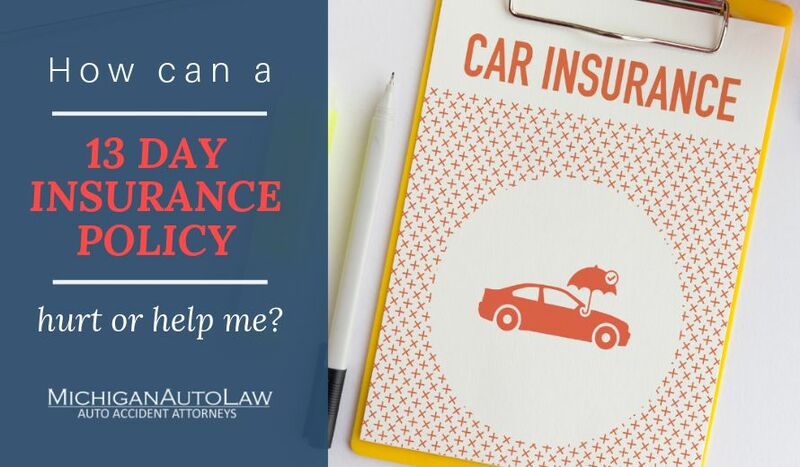 However, the moment you pick up any type of short term or long-term disability coverage, it is highly recommended that you change your auto insurance coverage to primary wage loss. With primary wage loss, your auto insurer pays wage loss first, without respect to other sources of income. Because many people forget to change their coverage or are just not aware of the consequences of having the wrong coverage, it’s a better choice to always elect primary wage loss coverage. Unfortunately, it’s the people who can’t afford to wait for their wage loss benefits or can’t afford to absorb the high deductibles who are the most targeted for coordinated/excess wage loss coverage. It’s very simply, cheaper than primary coverage. Please be aware that worker’s compensation, Social Security disability (SSD) and supplemental security income (SSI) are not private disability plans and are always a set-off against PIP wage loss by law, regardless of whether primary or coordinated/excess coverage was elected. Lastly, if you have primary wage loss and also want to collect private disability benefits, you must get the terms of the disability policy first to determine if the there is any language that would required either a reimbursement or would prohibit you from double collection. — This blog post was written by Jeffrey A. Bussell. Jeff joined Michigan Auto Law’s pre-suit division with extensive experience in no-fault insurance litigation. He works closely with auto accident victims in the early stages of their lawsuits, helping them garner the no-fault insurance benefits necessary for a full recovery. Michigan Auto Law exclusively handles car accident, truck accident and motorcycle accident cases throughout the entire state of Michigan. We have offices in Farmington Hills, Detroit, Ann Arbor, Grand Rapids and Sterling Heights. Please call (800) 777-0028 if you have been in an auto accident and are confused about your no-fault insurance policy. For more information, refer to our law firm quick facts.